FOR SALE: Located on a 13.3 acre estate lot in Cordillera Ranch. The single story home includes 4 bedrooms and 4.5 bathrooms, a Study, Game Room and a 3 car garage. Clean, contemporary lines are mixed with traditional Texas Hill Country finishes to make this home truly spectacular. The open kitchen/living combo room has soaring ceilings, which are highlighted by large architecturally exposed trusses. This home features 3 full masonry wood burning fireplaces. A well-appointed game room is designed with entertaining in mind, and includes a full bar and glass enclosed wine room, with climate controlled HVAC unit for the wine enthusiast. The study utilizes oversized barn doors to allow additional privacy for the homeowner. 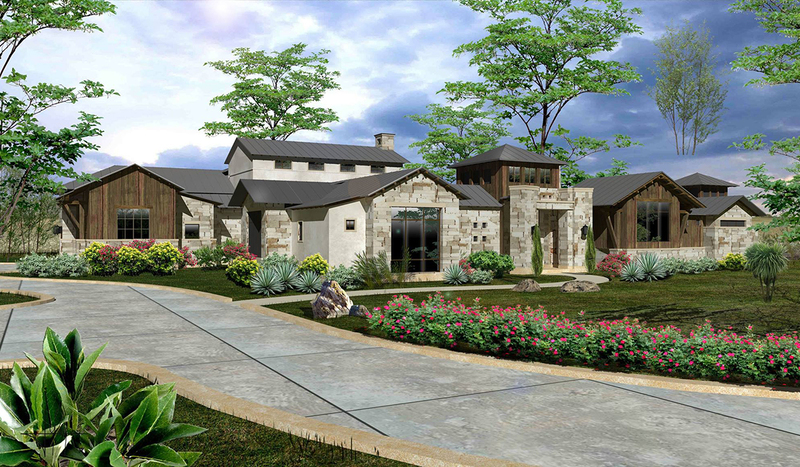 The eclectic blending of dry stacked Luders Stone, blended with stucco and touches of steel siding, highlighted with timbers give this residence the feel of traditional Texas Hill Country architecture infused with touches of modern industrialism. The home features 6,004 square feet of living space, and includes more than 8,407 square feet of total covered space. Please contact us for more information and viewing of this amazing home. Just a word of thanks and appreciation for your great work on 84 Sendero Ridge. I am so impressed with your ability and professionalism. It was a real pleasure working with you and I could not have found a better business partner. You may not realize how di erent you are from the regular builder…always on the job, always available to answer questions, always with the right answers, and a superior scheduler, building houses to the highest standards, never cutting quality. Todd Glowka Builder, Inc. shared a post.